Remember, these assessments are only one indicator of your student’s knowledge and skill in school. You should also consider other information, such as grades and schoolwork, to gain a complete picture of how well your student is learning and preparing for the next grade. As always, please contact the school or the teacher to discuss your child’s progress. The Science CRT is one part of Nevada’s statewide assessment program. All public school students in grades 5 and 8 must participate in this program. The Science CRT is administered once a year in the spring. The Science CRT is taken by all students across Nevada, so the results give the uique opportunity to compare your student’s scores to the learning expectations in a fair and valid way. Such information can help teachers find the best ways to support your student’s learning and can help schools identify the best ways to teach and help all students make progress. For the past several years, Nevada has worked with the Smarter Balanced Assessment Consortium (SBAC), a group of states that worked collaboratively to develop the Smarter Balanced assessments aligned to the Common Core State Standards in English language arts and mathematics. Nevada is one of 21 governing states, who participate in the state decision-making process that regulates the consortium. The Smarter Summative Assessment is part of the comprehensive system of assessments to provide evidence of student mastery of the Nevada Academic Content Standards. The standards provide clear expectations for what content should be achieved at each grade level. Student reports display assessment scores to determine progress towards college- and career-readiness. Students take the SBAC Assessments each spring in Grades 3-8 in the areas of English Language Arts/Literacy and Mathematics. Students who score Achievement Level 3 or 4 on the new assessments are considered on track to graduate college- and career-ready. NV State Board of Education approved the transition from End of Course (EOC) Examinations to End of Course Finals. For the 2017-18 school year there is a requirement to pass the course but no state requirement that the EOC Final is passed or that the final count for a specific percentage of a student’s grade. Starting in 2018-19 the EOC final will count at 10% of the student’s final grade and increase 5 percentage points each year until reaching 20% of the grade in 2020-21. The PSAT is a mandatory assessment for all Sophomores (grade 10). 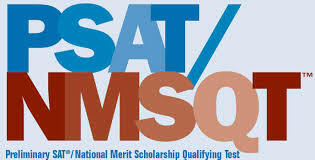 Juniors are encouraged to take the PSAT/NMSQT at a minimal cost. get specific suggestions on how to improve your academic skills. To be eligible for graduation, all students, free of charge, must participate in Nevada’s College and Career Readiness (CCR) assessment during their junior year of high school. The State Board of Education chose the ACT as Nevada’s CCR assessment. A student’s ACT score will not be used to determine graduation eligibility but can be submitted with college applications. 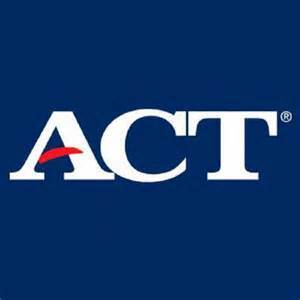 The ACT is a nationally recognized college admissions exam that is accepted by all four-year colleges and universities in the United States. Students enrolled in Grade 11 of a Nevada school during an administration of the College and Career Readiness Assessment (ACT) must take the ACT to be eligible for a diploma. All Nevada juniors will take the ACT free of charge. This gives all Nevada students the opportunity to take a nationally recognized college admissions exam. This assessment is equivalent to all other ACT Assessments administered on national test dates throughout the country. Since this is an actual college entrance exam, results from this assessment can be submitted for college entrance by the student to their college or university of choice. Studies show that students who take the ACT are more likely to apply to and attend college. Parents and guardians can look at a student’s ACT results and work together to determine the best path to college and career. The CCSD English Language Learner Division in collaboration with the Assessment Department has created a parent video, in both English and Spanish, to assist parents in understanding the score reports and the new cut scores for ACCESS for ELLs 2.0.